When I did my MFA back in the nineties I realized at one point that I was the only mother in the room. Perhaps it was an anomaly. Or maybe many new mothers didn’t have the economic and childcare wherewithal to make it to an 8 pm class twice a week. I knew it was practically a miracle that I had, and I was so thrilled to be there (Out at night! In a room full of adults!) 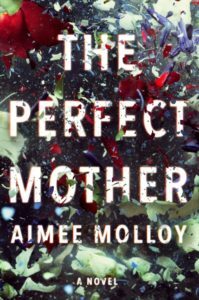 that I didn’t worry too much about what the dearth of mother-writers said about the representation of motherhood in fiction. Perhaps I needn’t have. The recent proliferation of books about mothers demonstrates that I have plenty of company for my latest novel, The Other Mother, in which I delve into the conflicts and ambiguities of new motherhood. And a glance at my shelves reveals a long tradition of works exploring the dark undertow of maternal angst and ambivalence, and society’s collective anxiety about what it means to be a mother. It all pretty much starts with Medea. In mythology she’s more victim than villain. Made to fall in love with the hero Jason by the gods, she flees with him to Corinth where Jason abandons her for the king’s daughter. In the early myths she either kills her children accidentally or they’re killed by the citizens of Corinth. In Euripides’s play (431 BC), though, Medea kills her children to exact revenge against their father, Jason. It’s a monstrous act, made all the more wrenching by Medea’s professed love for those children. 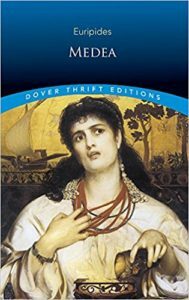 Medea embodies our fear that the one who gives life might take it away as well, and that the power of love (even mother love) can be twisted into a deadly force. How are we ever to control that wild, primal force? Lock it up in an attic! 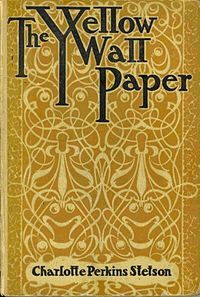 That’s what her husband does to the narrator of The Yellow Wallpaper (Charlotte Perkins Gilman, 1892). All seems benign at first in this locked-room mystery. The narrator is simply taking a rest cure, forbidden to agitate herself with books or writing (this was an actual medical prescription in the late 19th century). We don’t even realize at first that she’s just had a baby because her doctor husband has declared that interaction with her own child might be too distressing. Maybe he’s been reading his Medea. Even the most conscientious caretaker might prove a danger to the children. 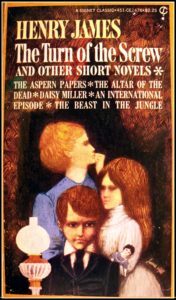 Although it’s not a mother-book, I can’t resist slipping in The Turn of the Screw (Henry James, 1898) for its colossally unreliable narrator. The governess is only trying to protect her young charges, but what if protecting them requires ridding them of their ghostly possession? A mother’s—or governess’s—embrace can soon turn smothering. Can a mother love her child too much? Can she be too self-sacrificing? 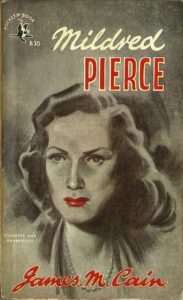 That’s the question James M. Cain poses in his 1941 noir masterpiece Mildred Pierce. Mildred is the perfect self-sacrificing mother, waitressing and baking pies to support her two daughters through the Depression after she’s left their unemployed dad. But all her hard work and sacrifice spawns an ungrateful monster of a daughter, Veda, whose name, which means “knowledge” in Sanskrit, also conjures up the Hindi goddess of destruction, Shiva. It’s as if that wild primeval force of mother-love has been embodied in the destructive offspring. How can a mother win? Hover too much and she spawns a she-devil, look away for a second and she risks losing not just her child but her very identity as mother. 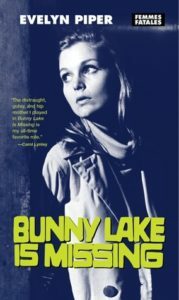 That’s what happens to Blanche Lake in Bunny Lake is Missing (Evelyn Piper, 1957). When she goes to pick up her four-year-old daughter from her first day at pre-school not only isn’t Bunny there, no one has ever seen or heard of her. Blanche is immediately assailed by a crowd of onlookers who blame her for her un-motherly behavior in leaving her child at—of all places—a school. “Call themselves mother and don’t care enough to take care of their own, that’s how. Some people don’t deserve to have kids!” Soon enough, the police are questioning the very existence of little Bunny. Having committed the sin of being an unmarried mother, and then going to work, Blanche is blanched of her identity as a mother. Bad enough that people don’t believe your child exists, what if no one will believe that your husband’s traded your first born to the Satanists next door? That’s the titular heroine’s fear in Ira Levin’s suspenseful horror novel Rosemary’s Baby (1967). 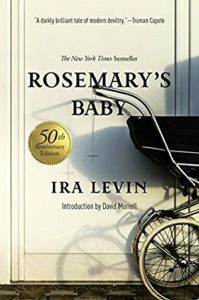 Levin masterfully puts us in Rosemary’s shoes, letting us experience the growing paranoia and isolation of pregnancy. He captures the way one’s body become foreign—the strange cravings for raw meat and the unrecognizable reflection glimpsed in a store window. But the real horror is what’s growing inside Rosemary. 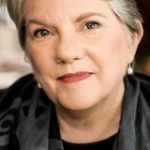 In a 2003 afterword, Levin wrote that he was “struck one day by the thought…that a fetus could be an effective horror if the reader knew it was growing into something malignly different than the baby expected.” I can’t help but feel there’s some primal fear of motherhood itself expressed here: Mother as bombshell! 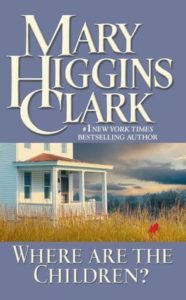 That fear and suspicion of mothers, that something might be lurking inside the most innocent looking of mothers, is acutely evoked in Mary Higgins Clark’s 1975 novel Where Are the Children? Nancy Harmon, who has already lived through the nightmare of being accused of her children’s deaths, starts a new life and family only to have her children taken from her again. Once her neighbors know that she was that mother, she is immediately assumed to be guilty of killing her second set of children. 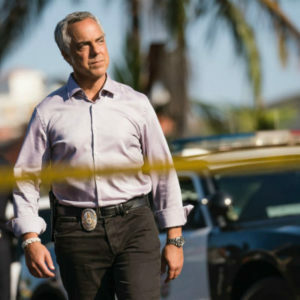 “To Chief Collins, what had happened was very clear. That woman had seen the article about herself in the paper, realized that everyone would know who she was and gone berserk. Did to these poor kids the same thing she’d done to her others.” As if all a woman would need is a little push to turn her into a filicidal monster. 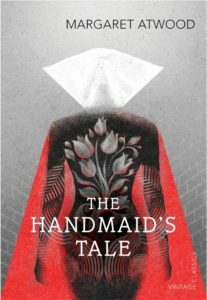 This ambivalence about mothers—revered when they fit into our definition of “good mother;” reviled when they transgress—is nowhere better evoked than in Margaret Atwood’s chilling 1986 dystopia The Handmaid’s Tale. The Alt-Right Republic of Gilead bifurcates the role of motherhood into two roles: the fertile but “unfit” women who bear the children and the pure and obedient “wives” who claim and raise them. In the book, Offred is “unfit” because she was married to a divorced man, but in the recent Hulu adaptation we see Elizabeth Moss as Offred being quizzed by a government official about why she sent her child to school with a slight fever. The crime is that she placed her own need to go to work above her child’s presumed wellbeing. I read and taught this book a half dozen times before wondering why none of the “pure” wives were fertile, until I realized that it’s all about control. In the world of Gilead it would be giving women too much power to both bear the children and raise them. By dividing the role, and defining what constitutes “good” mothering, women are more easily controlled. Perhaps the problem is the idea that there is ever one definition of motherhood—that all women should conform to one model of how to be a mother. And perhaps the antidote is to share our stories of the many variations of what it means to be a mother because the scariest part of being a new mother is feeling isolated. At least with these books no one ever need feel like the only mother in the room. Carol Goodman is the critically acclaimed author of fourteen novels, including The Lake of Dead Languages and , which won the 2003 Hammett Prize. Her books have been translated into sixteen languages. She lives in the Hudson Valley with her family, and teaches writing and literature at the New School and SUNY New Paltz. Her latest novel is The Other Mother.